Bradley Cooper’s directorial debut, the fourth adaptation of the classic film “A Star is Born,” was released nationwide last week, and it pretty much blew everyone’s minds. Well, I know it blew mine. It’s almost impossible to grasp that an actor, who started his career in things like “All About Steve,” and “Wedding Crashers,” has taken one of the most enduringly popular stories in all of Hollywood and turned it into something as fresh and personal as this. The first thing I noticed about this version is that Cooper directed the hell out of this. The film, for a story as epic as two mega-stars colliding, is one of the most sensitive and close up portraits of a relationship that I’ve seen in a very long time. Even for the sequences that are shot in front of crowds of thousands of people, the camera never lets the two leads get lost in the sensationalism; this movie is all about its two main characters. Bradley Cooper, who aside from directing the film also co-wrote the adaptation, plays Jackson Maine. Maine is basically the modern equivalent of Eddie Vedder mixed with Chris Stapleton, and he’s fully believable as a burnt out musical legend whose seen his best days. Through a series of events, he comes in contact with Lady Gaga’s Ally and is immediately taken by both her voice and her passion. Of course, the two fall in love and Ally is the star that is effectively “born,” all the while Maine continues his downward spiral. Of course, this is a story that’s been told before, and it’s not hard to see where it’s going. That doesn’t change the absolute magic of what is seen on screen, though. The film is electric, and it’s never less than magnetic. I wouldn’t have a drink at this movie if I were you, because you’re not going to want to leave your seat for any reason. 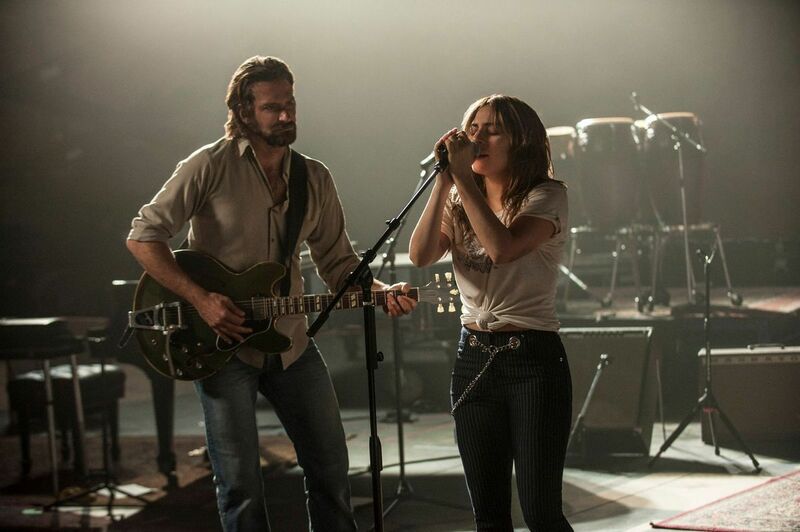 While Cooper is fantastic channeling his inner Kris Kristofferson, Gaga is the heart and soul of this movie. When she’s on screen, you’re only looking at her. Her Ally is the perfect antidote to Maine’s cynical and beaten down character, and the two’s chemistry is at once volatile and transfixing. I do believe that both of these are significant frontrunners at all of the awards that are coming up at the end of the season. If Cooper doesn’t win, Gaga surely will. Another familiar face that shows up to add some gravitas to the proceedings is Dave Chappelle. He plays one of Maine’s oldest friends, and he provides some insight into the character’s younger years. Chappelle’s character is at once sympathetic and critical of Jackson Maine, and that’s similar to how the audience feels. There is no doubt, “A Star is Born” will be talked about for a long time. It’s a striking film that will resonate with many and move most. It’s the best film I’ve seen this year, no doubt.